If you can imagine the most tranquil island on earth, St. John is it, offering visitors pristine splendor amid modern luxuries. 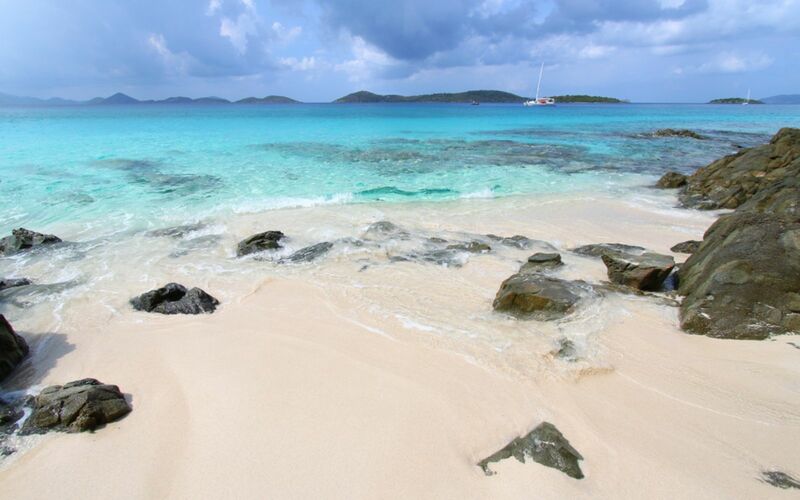 With more than half the island designated as national forest, St. John has some of the world’s most beautiful beaches. Its laid-back vibe will delight, making for romantic and low-key evenings. To spice things up, enjoy the contagious beats of calypso on the beach, jazz in an open-air bar, or let loose and sing at one of the popular karaoke bars. Get in touch with your nature side by choosing from a variety of fun and unforgettable activities both on land and in water. And when it comes to shopping, find the perfect, precious handmade souvenir at one of the unique shops. Sample a range of indigenous Caribbean cuisine, from mouthwatering seafood to barbeque and jerk dishes that will have you reaching for a refreshing island beverage. It may be the smallest of the three US Virgin Islands, but St. John's unspoiled beauty is perhaps the greatest found anywhere in the Caribbean. With 60% of its land area comprising a pristine national park, St. John is as far away as you can get from civilization, but still a short distance from upscale jewelry stores and boutiques. A strikingly beautiful island preserved in natural beauty, and a true quintessential getaway. 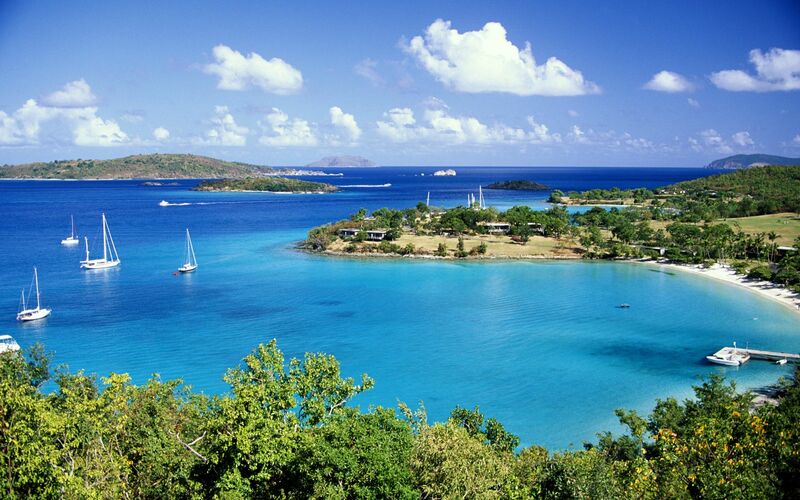 A visit to St. John is a must for those seeking true escape. 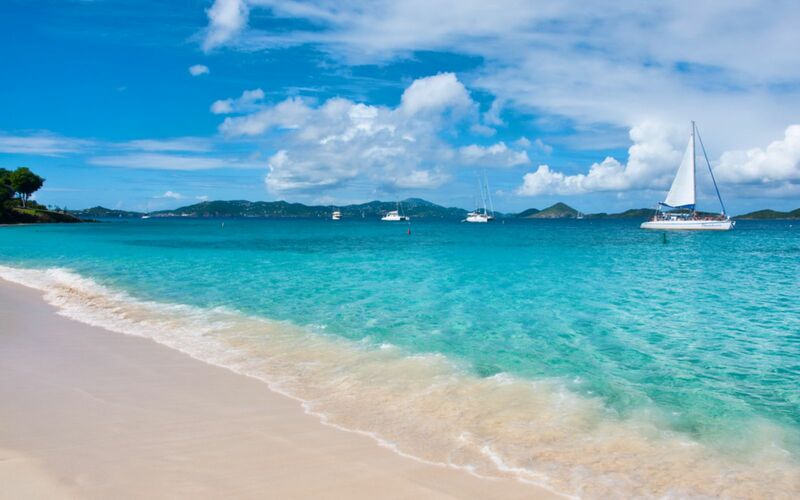 The best time to visit the US Virgin Islands is April to June, when you can expect mild weather and very little rainfall. In the USVI's peak season, from December to March, the temperature ranges from the mid-70s to high 80s with breezy evenings. July to October is the region's hurricane season with average temps in the upper 80s. Rainfall 3.0 in. 1.8 in. 1.7 in. 3.1 in. 4.1 in. 2.8 in. Rainfall 3.5 in. 3.8 in. 5.5 in. 5.2 in. 5.9 in. 3.5 in.